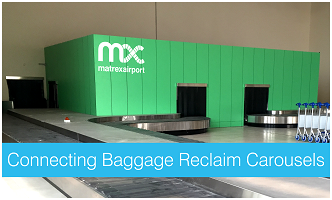 MATREX provides a smart solution, “ByPass”, to connect two baggage reclaim carousels. Small international airports often face critical circumstances with arrivals of different sized aircraft, one after the other. Baggage delivery can become a real headache for airport operators to handle 150-bag small aircraft along with 1000-bag intercontanental flights. Thanks to MATREX, operators can henceforth mechanically connect side-by-side baggage reclaim carousels. During day-to-day operation, both carousels remain separate and deliver bags from flights independently. When a large carrier lands, connecting both carousels effectively extends the carousels delivery length. Delivery will then be smoother and faster. 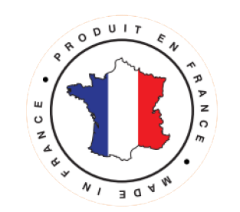 Easy to implement in existing airports, MATREX solution brings flexibility to the baggage delivery process. It is already operational in one African airport and shall be shortly available in several other locations.